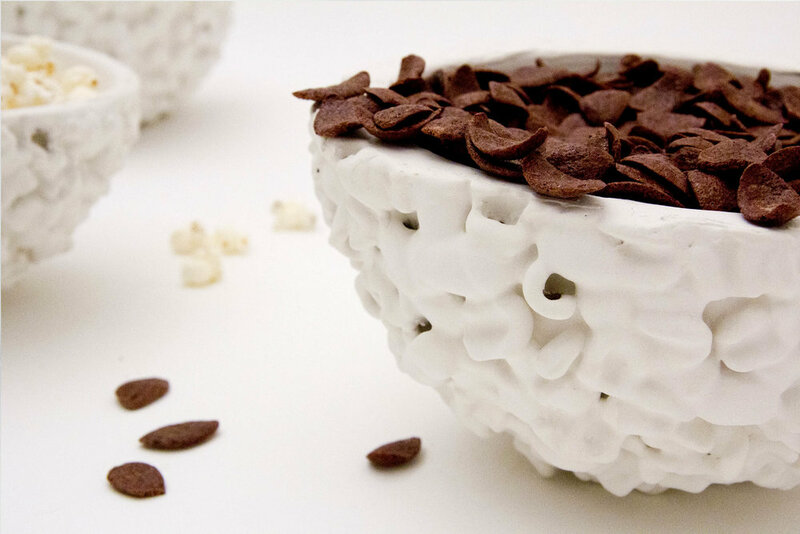 These particular ceramic bowls were presented for the first time in July 2011 during my Bachelor's Project Thesis at the Faculty of Design & Art of the Free University of Bozen. In that occasion, I tryed out myself in a interesting experimental project with materials. I put in the ceramic mxture every kind of material such as cereals in order to create a special effect once the piece is cooked. The difficulty of the project was to find something that don't crak the ceramic before the coooking. Cereamiche are special bowls made by cereals to contain cereals!